Fresh Start Law Center is located in Orange County, California, and we specialize in providing expungement legal service in Southern California. Since we focus solely on California expungement law we are able to not only provide knowledgeable expungement services but to also provide these services at the absolute lowest fixed prices to all Orange County residents. Given the fact that our expungement law firm is based locally we have a great understanding of the intricacies of the Orange County Superior Court system. A knowledgeable attorney will handle your case from start to finish, optimizing your chance at a successful expungement of your criminal record. Over 80% of Orange County employers perform background checks on job applicants today. We all know how competitive the Orange County job market can be, meaning it is more important than ever to make sure your record is cleared up. Once we clear your criminal record you will be able to approach job opportunities with confidence and honesty. Fresh Start Law Center was founded in Orange County California and serves all 34 of the cities located in the county. We pride ourselves on having extensive knowledge of the intricacies of the Orange County superior court system, which will optimize your chance of getting your criminal record successfully expunged. There are 34 cities total in Orange County and Fresh Start Law Center serves all 34 with our expungement services. Here is a list of the 34 cities in Orange County we serve: Aliso Viejo, Anaheim, Brea, Buena Park, Costa Mesa, Cypress, Dana Point, Fountain Valley, Fullerton, Garden Grove, Huntington Beach, Irvine, La Habra, La Palma, Laguna Beach, Laguna Hills, Laguna Niguel, Laguna Woods, Lake Forest, Los Alamitos, Mission Viejo, Newport Beach, Orange, Placentia, Rancho Santa Margarita, San Clemente, San Juan Capistrano, Santa Ana, Seal Beach, Stanton, Tustin, Villa Park, Westminster, Yorba Linda. The Orange County superior court system has eight total court locations and is renowned as one of the most technologically advanced trial court systems in the country. The courthouses are evenly spread out across the county, making them easily accessible by public transportation regardless of the starting point. Below is a list of all Orange County court houses and their corresponding address. We are your Orange County expungement specialist. 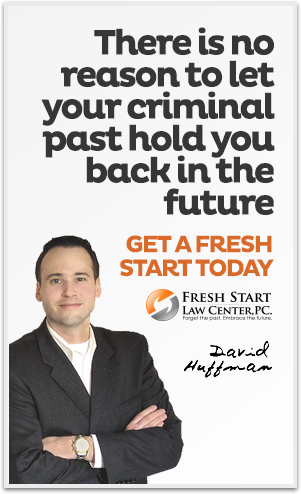 Fresh Start Law Center's sole focus is on the practice of California expungement law. The firm was started in Orange County, California, which is where our main office currently resides today. We take great pride in being one of the few California law firms to specialize expungement law, and we find great satisfaction in helping our Orange County clients forget their past so that they can fully embrace the future. Most of our expungement cases are completed in just 6-12 weeks, meaning you can quickly move forward with you life. We also offer expedited service in most counties. 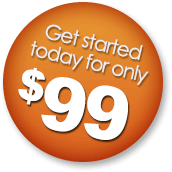 We offer a 100% money back guarantee on most of our services. If we do not successfully expunge your criminal case, then you don't pay us. It's that simple. We take pride in offering affordable pricing to our clients. 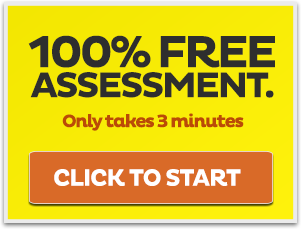 We are so sure that we have the lowest fixed prices for our expungement services that we guarantee it! We provide our specialized criminal expungement legal services throughout the entire state of California. From San Diego to Humboldt County, we are here to help with your expungement needs. Do you have multiple cases? No problem. 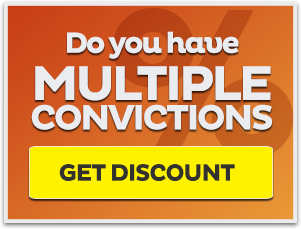 We specialize in clearing up your entire criminal record, and we provide discounted pricing for multiple expungement cases. We have won thousands of criminal expungement cases for our clients in California. We have seen every type of expungement case, and we specialize in this unique area of California law. I would highly recommend Fresh Start. They did everything they promised, on time and with wonderful customer service. I am very pleased! David Huffman and his team are top notch. I used them for two cases and they won both. Their prices were reasonable and there service excellent. 5 Stars!!! Highly recommend Fresh Start Law Center to anyone needing this type of assistance. Totally reliable and well worth the money. Mr. Huffman was a joy to work with. Fresh Start Law Center is one of the few law firms in California that focuses solely on record clearing laws in California. When you purchase a Fresh Start Law Center expungement service your case will be handled by a knowledgeable and experienced expungement attorney from start to finish. Our focus in California record clearing laws not only allows us to provide top notch legal services, but to provide these expungement services at the absolute lowest fixed prices - we guarantee that our prices are the lowest! Alameda, Alpine, Amador, Butte, Calaveras, Colusa, Contra Costa, Del Norte, El Dorado, Fresno, Glenn, Humboldt, Imperial, Inyo, Kern, Kings, Lake, Lassen, Los Angeles, Madera, Marin, Mariposa, Mendocino, Merced, Modoc, Mono, Monterey, Napa, Nevada, Orange, Placer, Plumas, Riverside, Sacramento, San Benito, San Bernardino, San Diego, San Francisco, San Joaquin, San Luis Obispo, San Mateo, Santa Barbara, Santa Clara, Santa Cruz, Shasta, Sierra, Siskiyou, Solano, Sonoma, Stanislaus, Sutter, Tehama, Trinity, Tulare, Tuolumne, Ventura, Yolo and Yuba. Notice: This website is attorney advertisement and does not establish an attorney-client relationship, which is only formed once you have signed an engagement agreement. Additionally, we cannot guarantee results & past results do not guarantee future results.